Some of these statistics are already available in iTunes, but Tunalysis ultimate goal is to expand iTunes (limited) stats and to give you hindsight on your musical habits and tastes. Tunalysis is written in Ruby and uses Bleything’s plist to parse iTunes’ XML library. 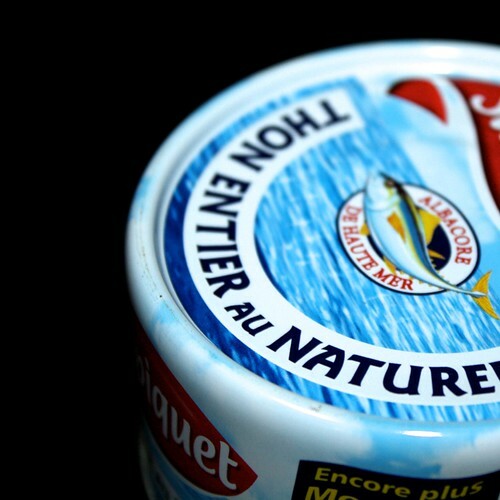 Tunalysis is licensed under the GPLv3. I’m open to suggestions. If you’re interested in a particular piece of data, leave a comment or send me an email and I’ll add it. 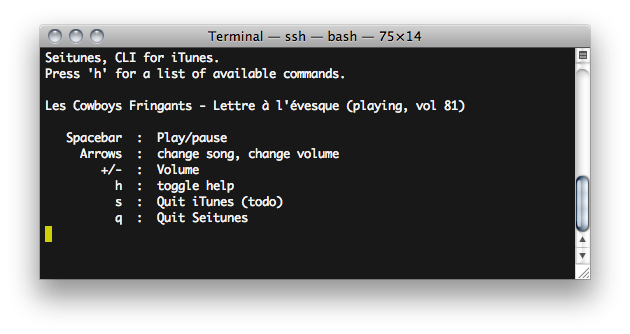 If you want to listen to your music library on the go, you can tunnel iTunes through SSH in a few easy steps. 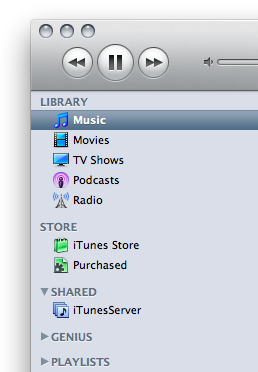 First of all, you have to enable sharing in iTunes: iTunes > Preferences > Sharing > Share my library on my local network. This will announce your library on your local network using multicast DNS, provided by Apple’s implementation of zeroconf: Bonjour. The library can then be accessed on port 3689 of the computer mDNS announced. Hence, to access your local library on a distant network, we will implement two things: ssh tunneling of port 3689 for the data to be transmitted, and mDNS announcement of the library on the new network so iTunes is aware of where to get it. 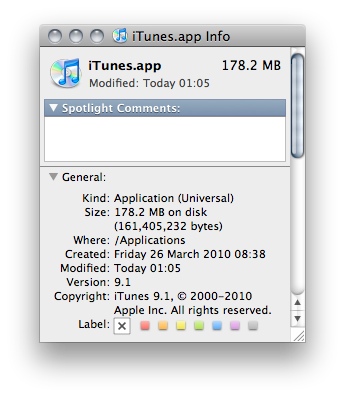 – remote = where iTunes is (=server). -L is the standard syntax for SSH tunneling. man ssh tells us the three arguments stands for port:host:hostport; as in “send data received at my own port to the hostport of said host“. Here for example, it means: tunnel all data received on my port 3690 to this SSH connection’s localhost (myServer) on its port 3689. Feel free to change 3690 to the port of your choice, replace florent@myServer by your own login/host combination, and add a -p if you use a non-standard port for SSH (which is a Good Thing(tm)!). The -f argument means the SSH tunnel will stay in the background. Finally, -N tells SSH not to execute a command on the remote side (i.e. launch a terminal on the server), meaning we will only use this connection to forward data. This command sets up a DNS proxy (-P) called iTunesServer, retransmitting DAAP announcements, on the local domain, on port 3690 of host localhost.local (at address 127.0.0.1). Annd your library will show up in iTunes! Playback can be a bit choppy if your server’s upload or laptop’s download is low, but it usually should be okay – MP3 and AAC yields great results around 192 to 320 kbps, equivalent to an average 25 to 40 kB/s transfer rate. Note that this method also allows you to use a password (set up in iTunes) to protect your shared libraries. My home main computer is a MacBook Pro, on which I frequently play music with iTunes. However, I’m often on my laptop, without direct access to the MBP’s screen or keyboard/mouse to pause, change song, change volume, etc. I can connect to the MBP using VNC, but I was looking for something more lightweight. I therefore decided to design a command-line interface for iTunes, that I would run via SSH. 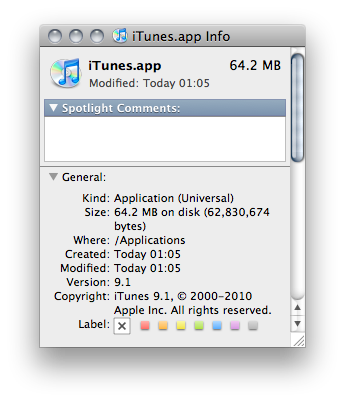 I called it Seitunes for reasons I can’t really remember right now, but there it is! > If iTunes is stopped when Seitunes starts, it starts iTunes and starts a song from the Library.